This highly-functional and sturdy piece of art furniture is designed for comfort. 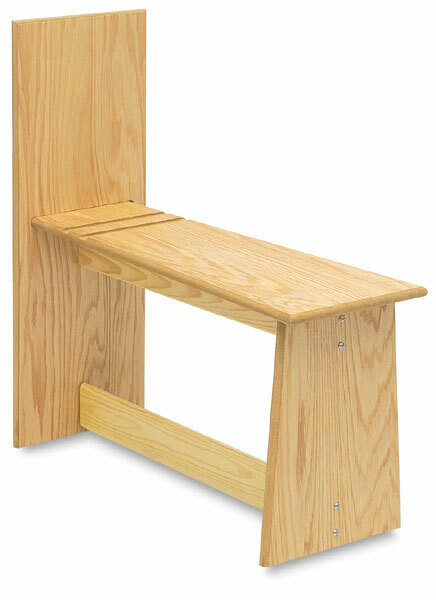 The upright and grooved seat accommodates drawing boards up to 24" × 30". Grooves are ¾" wide × ¼" deep, designed to hold drawing boards in place. It's built using durable, red oak MDF construction, including a bottom brace for greater stability. Light assembly is required.